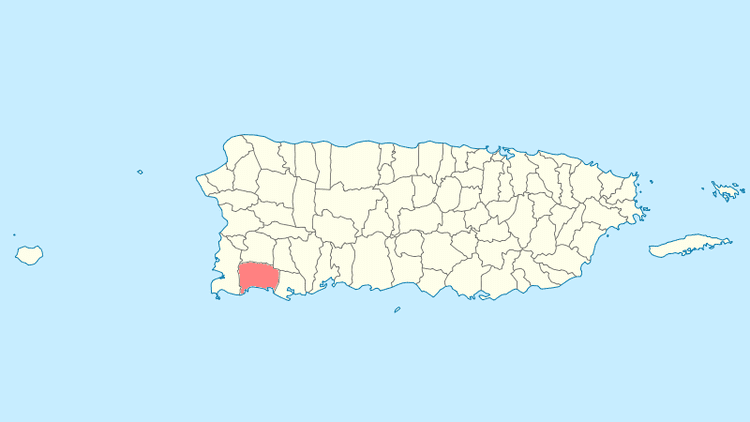 Lajas ([ˈlaxas], Flagstones) is a municipality of Puerto Rico (U.S.) located in southwestern Puerto Rico, on the southern coast of the island, bordering the Caribbean Sea, south of San Germán and Sabana Grande; east of Cabo Rojo; and west of Guánica. Lajas is spread over 11 wards plus Lajas Pueblo (the downtown area and the administrative center of the city). It is part of the San Germán-Cabo Rojo Metropolitan Statistical Area. 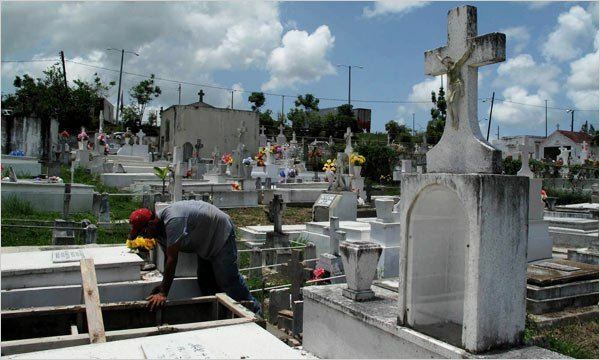 Located at the Lajas Valley, the town was founded in 1883 by the Xueta Teodoro Jacome Pagan. Xuetes (Chuetas) were Majorcan Jews (Sephardi Catalan Jews). Some families changed their names from Jacome to the Castilian form Santiago (Saint James the greater). Jacome is the Mallorquin form of James (Ia'akov). Catalan Jews from Majorca were part of the early settlers in the South of (Boriken) Puerto Rico. 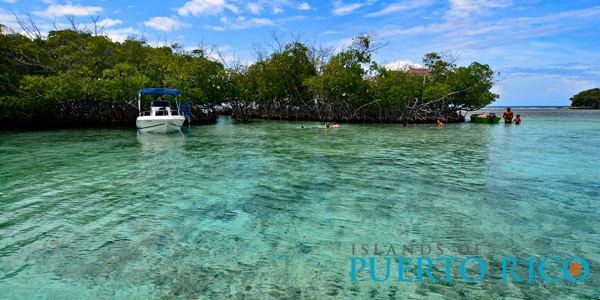 The village of La Parguera (founded in 1940 by Andrew Breedlove and fishermen from Guánica and Cabo Rojo) is a popular tourist destination to see the famous Bahía Fosforescente (Phosphorescent Bay) and its keys and islet's. 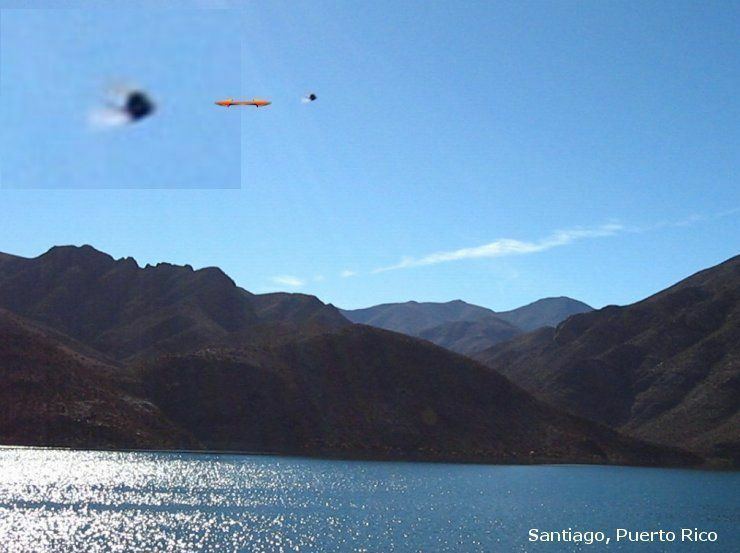 Laguna Cartagena National Wildlife Refuge is a national protected area. Lajas is famous for its main touristic attraction, Phosphorescent Bay (La Parguera), a place where bioluminescent dinoflagellates of different colors appear when the water moves. The origin of the colored lights is the object of many legends. Lajas is also a fishing town. Like all municipalities in Puerto Rico, Lajas is administered by a mayor. The current mayor is Marcos Irizarry, from the Popular Democratic Party (PPD). Irizarry was elected at the 2012 general election, but he had served before from 1997 to 2009. The flag consists of three (3) horizontal stripes; the superior one green, the center white and the bottom one yellow. A fourth cross. In the center of that cross we have two arms united with a ripe yellow pineapple. The cross is surrounded by eleven gold stars; five in the superior (north) part and six in the inferior (south) part of the cross forming a circle. The body is gold with a green band crossing it diagonally right to left; the color gold stands for the wealth of the land and green stands for the beauty of the valley which is a gift from mother nature to Lajas. The band is adorned, at each end, with a pineapple bordered in gold and black. In the center of the band, also in gold, a marine shell. In the left superior side there is a red cardinal's hat and in the inferior a red anchor with a green; the shield has 3 tower castle, each one with two windows and one door. On the bottom, outside the shield, a banner with the inscription "Ciudad Cardenalicia" (Cardinality City). The banner and the inscription appear in black.